As an adult, having an annual exam is one of the best gifts you can give to yourself. A comprehensive annual physical exam can help to screen for illness, and is vital for monitoring chronic and acute illnesses such as hypertension (high blood pressure), high cholesterol, diabetes, and endocrine and thyroid issues. Our primary care providers can help you understand your risk factors for obesity and how to manage them. A physical exam may also be required pre-employment as part of an occupational medical exam. With our own on-site labs, testing is done right at the clinic and results are usually available immediately. 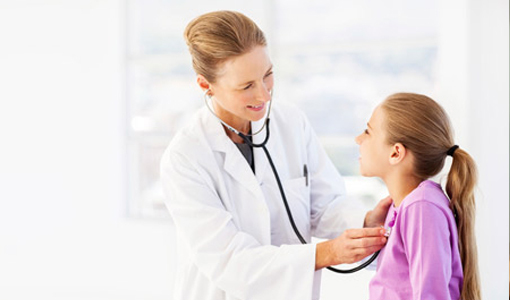 Physicals and exams performed at ZipClinic Urgent Care are also covered by most major insurance carriers. Walk-ins welcome. Camp, school and sports physicals are the standard screening physicals required to play sports, participate in organizational camp activities, or simply to attend school. It is important to understand that these physicals are not the comprehensive annual or periodic physicals (typically conducted by your primary care doctor and often billable to insurance), which require more extensive history, physical examination, counseling and often other services such as lab work. It is always best to bring official immunization records with you as these exams often require verification by the healthcare provider. Many ZipClinic locations are certified to perform Department of Transportation (DOT) physicals, Pulmonary Function Tests (PFTs) and drug screenings.